This afternoon The Tab Rutgers received multiple anonymous reports about a current hazing investigation by the University and Office of Fraternity and Sorority Affairs. It is believed that Phi Delta Theta have had their chapter revoked by the university with further action from nationals pending. It's been alleged in a group post from a member of another fraternity that they have received a 3-year suspension and have to remove their letters from the house by the end of the week. The Tab has reached out to both the university and OFSA for comment and will update with any response. 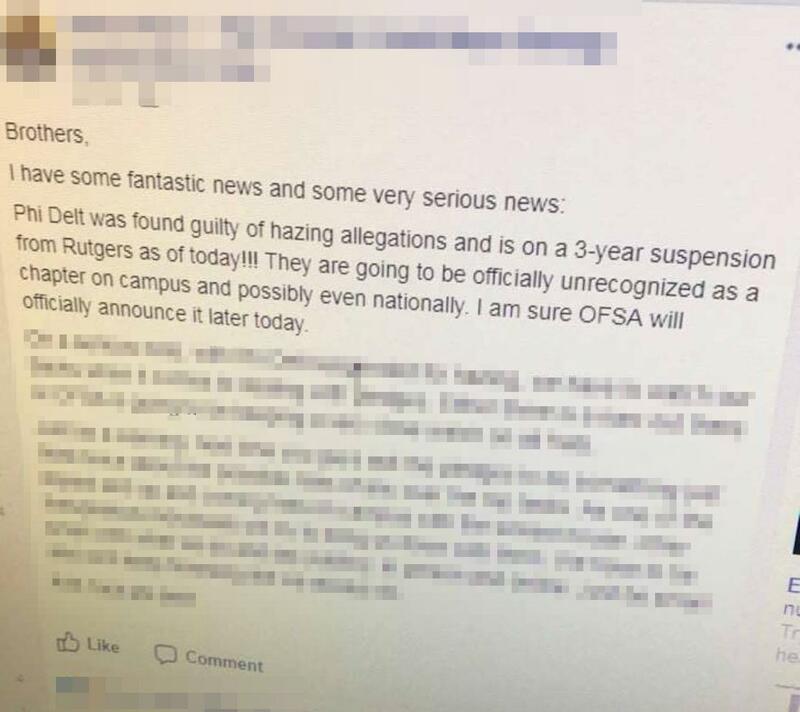 Various members of Phi Delt have reached out to The Tab Rutgers to deny allegations of hazing. They however confirm that their fraternity has been derecognized.